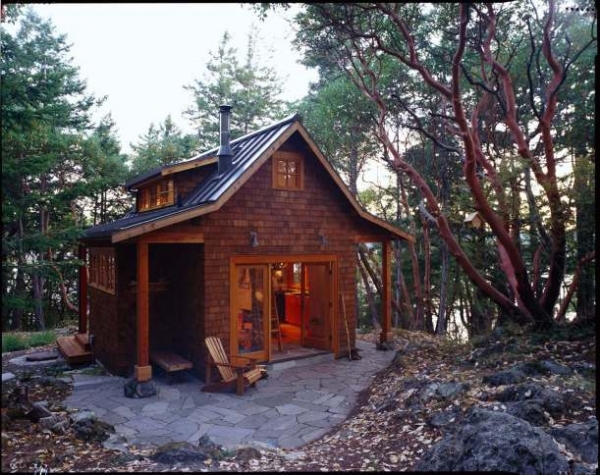 On Orcas Island, in Washington, this four hundred square foot forest cabin sits. 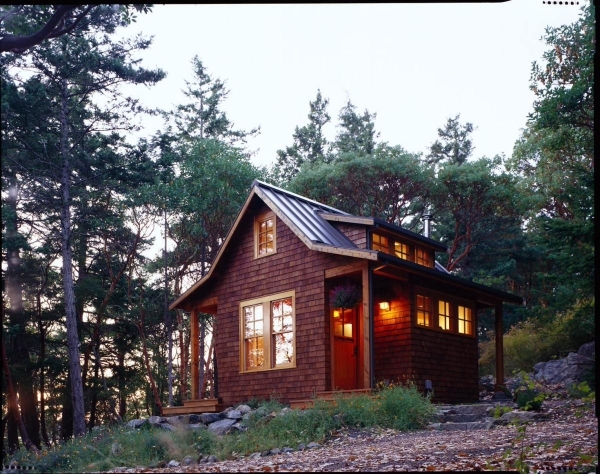 Designed by David Vandervort, the Orcas Island cabin has a gorgeous gable roof, stunning wood, and a fabulous patio. 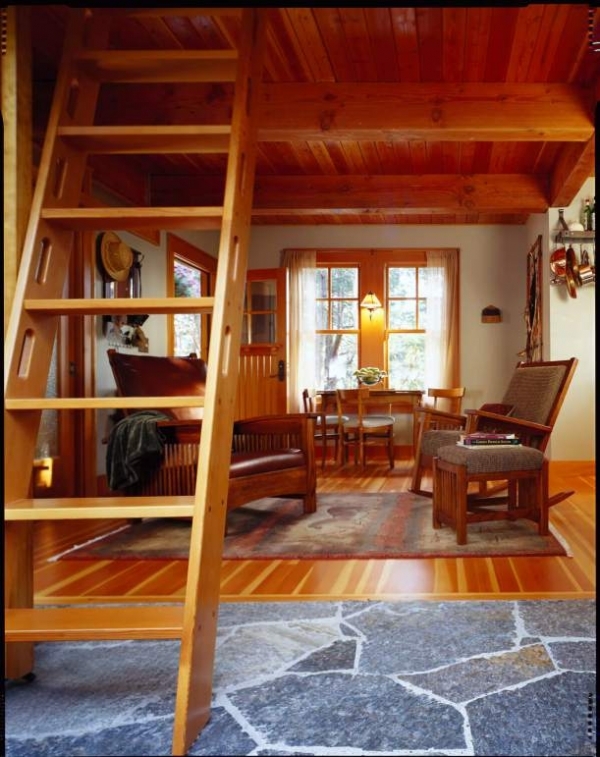 It is fantastically executed, and it really embodies the warmth and coziness of a cabin, while maintaining a polished touch. The warmth of this forest cabin is even apparent from the outside. Warm lighting emanates from the home, casting its glow on the surrounding nature. Madrone and cedar trees circle the outstanding cabin, while a flagstone patio, seems to carve out its own little nook. The inside of the forest cabin is phenomenal. 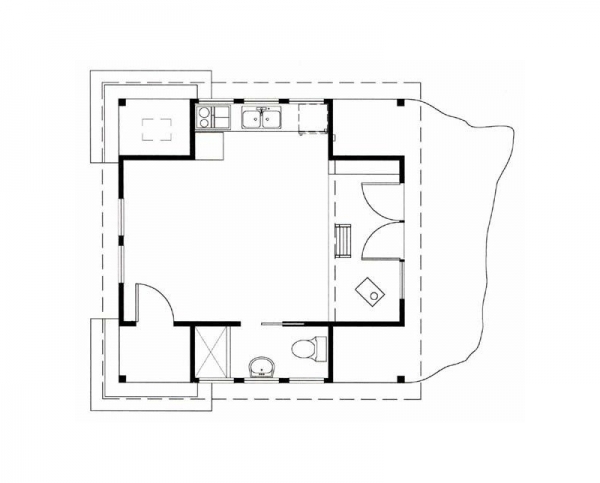 It boasts stunning wood beams, warm wood, and an open plan. Two fantastic chairs and an ottoman sit on an area rug with wonderful rustic colors. 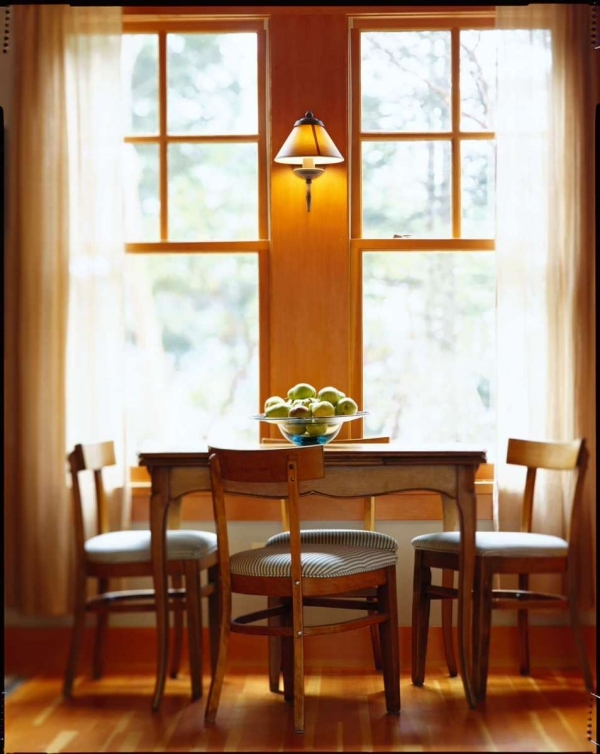 By the gorgeous window a lovely wooden table, surrounded by wooden chairs with striped cushions, sheer curtains, and a lovely sconce, create a beautiful scene. The kitchen is sleek but still maintains the cabin feel of this cozy home. 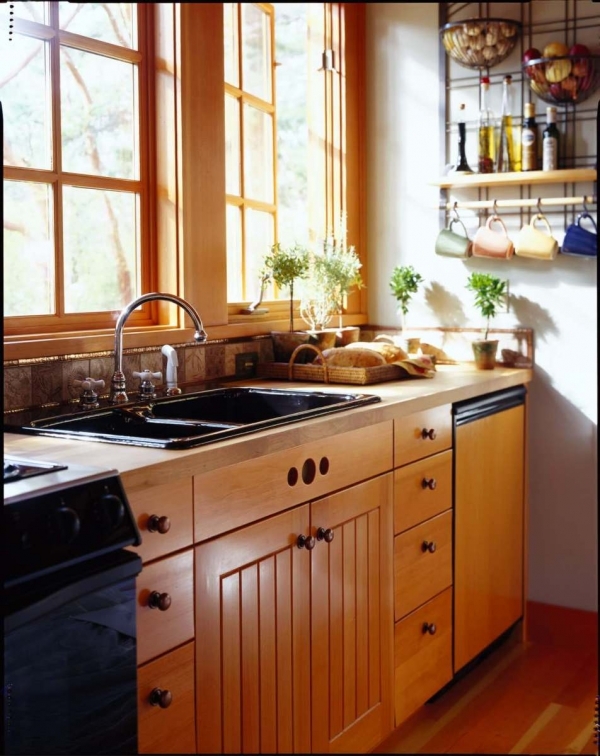 Wooden cabinets, countertops, and hardwoods, fill the space. Intricate tile lines the division between the countertops and the gorgeous window. Brilliant potted plants add a wonderful green color, and a magnificent wall rack provides storage. 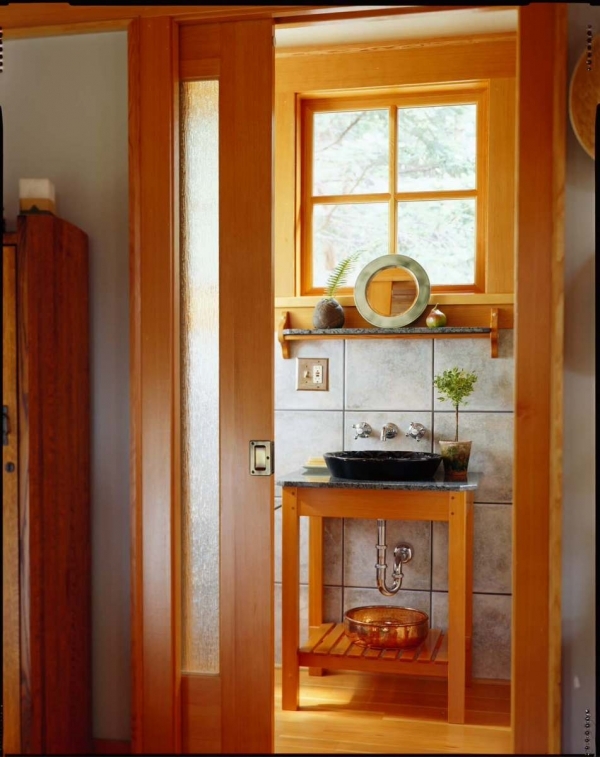 The bathroom in this forest cabin is perfectly done. The cool gray tile contrasts beautifully with the warm hardwoods. The black sink and the stunning fixtures are an outstanding combination. The sink stand is positively gorgeous, and the granite countertop and the granite slab used on the shelf, are just perfect. We love the copper bowl, the dashes of green, and the circular mirror, they elevate this room to an entirely new level: simply outstanding. When we step back and look at this space as a whole, the creative simplicity used in this design is thoroughly amazing.